Also known as the Nilgiri Mountain Railway Toy Train, the Toy Train is the key attraction of all the Ooty tourist places. Incepted in the year 1899, it continues to charm its visitors with the best views of forests, tunnels, sloes, fog, and birds bestowed upon them. 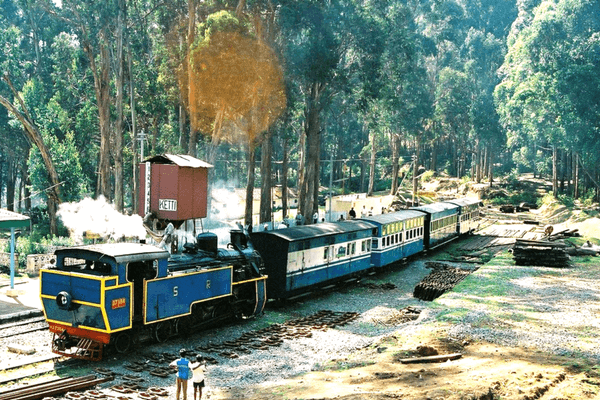 Rated as one of the most visited Ooty tourist places, this toy train ride is a must-try for all the travellers. Operating hours: The rides are available every day. 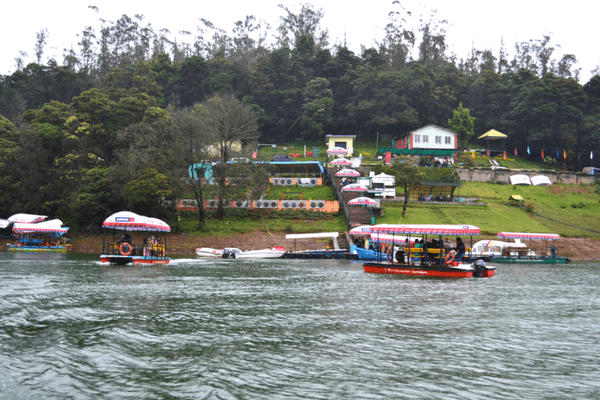 If you are fond of gaiety lake rides, then Ooty has got your back. 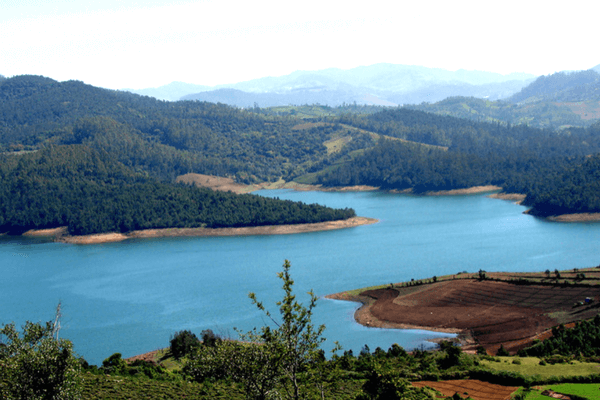 Home to some wonderful and glistening lakes, Ooty is a hub for all the water lovers. The most famous among them, being the Ooty Lake, it is an artificial lake in the shape of an irregular ‘L’. It was artificially formed by the founder of Ooty, John Sullivan by damming the streams flowing through the hill station. Definitely a gem in the Ooty places to visit, this lake is the most famous among the tourists as the best place to visit in Ooty. Operating hours: 9 am to 6 pm. 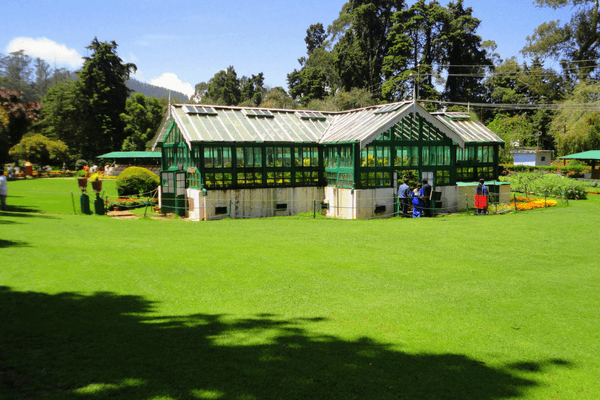 The most charming pick among the Ooty tourist places list, this botanical gardens is a treat for all the nature lovers. It bears some amazing plants that attract the gardening lovers from all over the country to the place only to view the rare species of plants. The botanical gardens were laid out in 1848 and are maintained by the Tamil Nadu Horticulture Department. Replete with various stunning varieties of flowers, ferns, and orchids, the gardens are a sight to behold. It is one of the best places to visit in Ooty for all the nature lovers. Operating hours: 8 am to 6:30 pm. 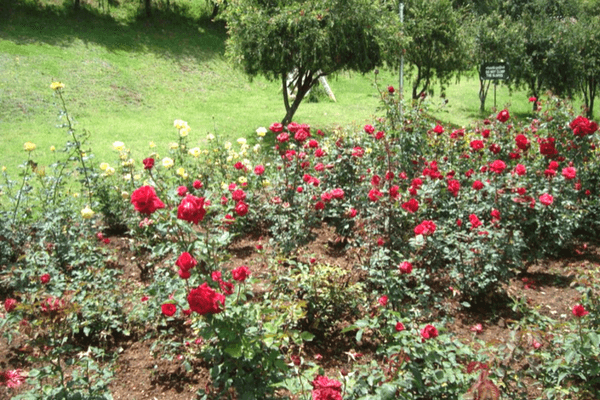 One of the Ooty’s best places, This garden is in charge of conducting the best flower show and has the highest rose production in the country. The roses grown here are lovely and hold great market value. Doesn’t this spot make it to the list of top places to visit in Ooty, as well as the list of places you wouldn’t mind getting lost at? 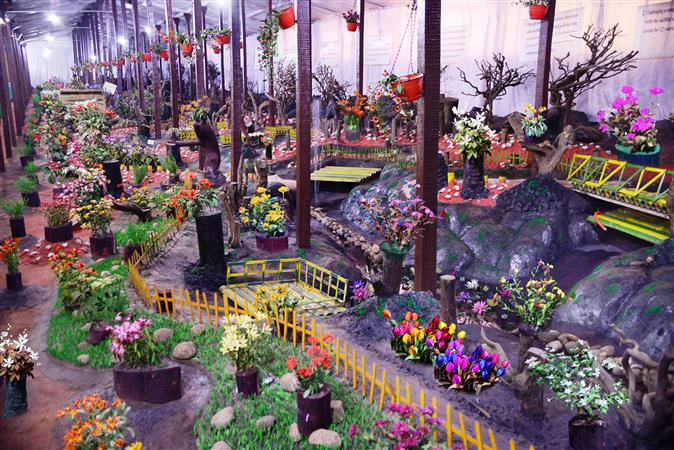 The thread garden of Ooty is filled with some of the most beautiful collection of artificial flowers and plants that have all been made by skilled artists using only thread. Antony Joseph is the mastermind behind concept and has worked constantly for 12 years to bring his idea to conceptualization. Operating hours: 9 am to 6 pm every day. The highest peak in the region of Ooty, the Doddabetta peak stands at an impressive 2,623 meters above sea level. One of the most impressive choices among the Ooty tourist places list, the Dodabetta peak breathes fresh air into your body, making you feel amazing from the tip of its peak. Operating hours: 7 am to 6 pm every day. A natural site, this is a protruding rock that looks like a dolphin’s nose. It is also a prize spot for trekking opportunities. You can capture some stunning shots from the tip of the Dolphin’s Nose, making it one of the best places to visit in Ooty for all the photographers and travellers alike. These falls are also known as ‘Bird Watchers Paradise’. The spot is great for short trips and picnics because of the calm and tranquil atmosphere surrounding it. The fresh water lake is also an important attraction of Bellikkal, making it one of the favored places to visit in Ooty! Operating hours: 8 am to 6 pm every day. Emerald lake is located in a region called Silent Valley. It is one of the favored spots in Ooty for picnicing and fishing. The lake is also surrounded by a plethora of tea plantations with amazing tea products. Another beautiful lake in the Ooty town, Emerald Lake holds the record for being the second best lake in the Ooty tourist places. This hill lies to the east of Ooty and is located towards the lower end of the Doddabetta peak. It is located at a distance of 6km from the main town and is replete with plenty treks. 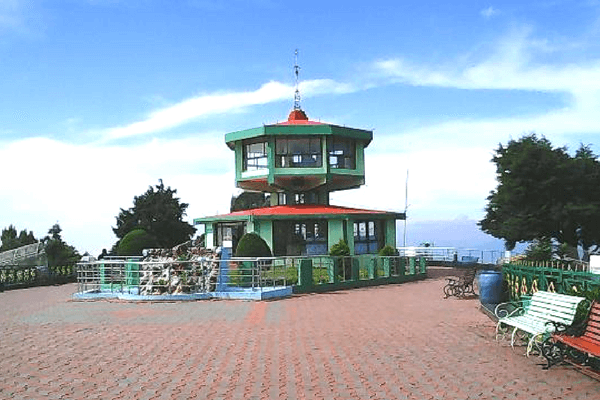 The Tiger Hill is the perfect place to visit in Ooty for all the people who are fond of trekking and hiking, and a little adventure on their trip. Kamraj Sagar Lake is a dam located in the suburbs of Ooty. Surrounded by a wide variety of herbs and shrubs, it comes as no surprise that many good movies have been shot in this neighborhood. Due to the flourishing of the fishing industry here, the local delicacies at this high ranker on the list of places to visit in Ooty are a treat for the eyes and the tastebuds alike! Kotagiri is the second largest hill station after Ooty. 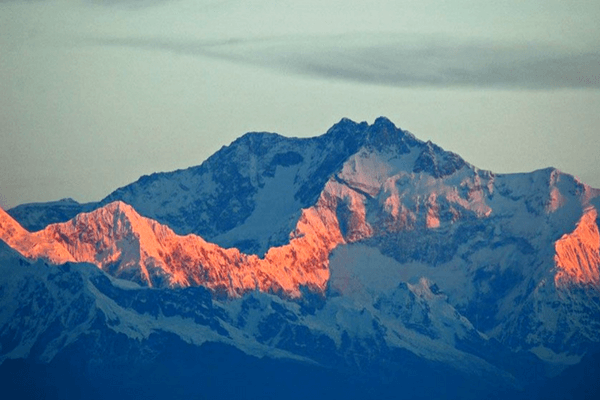 It is an ideal location for trekking expeditions, and has schools as a major contributor to the local economy. 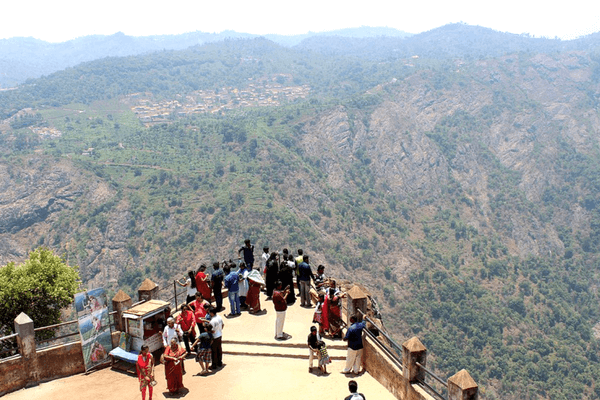 One of the most visited tourist places near Ooty. Kotagiri is one of those hill stations that beholds the beauty of the country. Annamalai Temple is situated close to 20km from Ooty. It is also home to an observatory at the top of the hill for the visitors to enjoy the panoramic views. 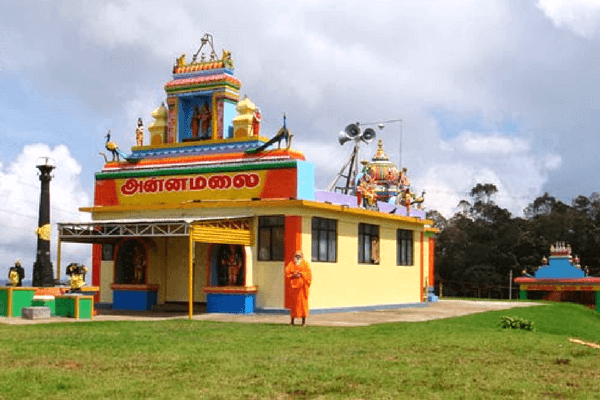 This sacred place in ooty is for all the religious people who embark on a trip to this hill station. One of the Ooty’s best places, the Annamalai temple is a right source of positivity and energy. Operating hours: 5 am to 12 pm and 4 pm to 9 pm every day. Ooty not only bears natural beauty, but also the historical monuments. The best example for this is the Droog Fort. One of the most ancient places to visit in Ooty, The Droog Fort is an old and worn out fort located about 6000ft above the plains. History says this fort was used by Tippu Sultan as an outpost, owing to its impressive location and all-inclusive views. However, only a wall remains in its place as a reminder and a popularly lovely tourist spot. Operating hours: 6 am to 6 pm every day. One of the top places to visit in Ooty is Lamb’s Rock in Coonoor. It is located on the slopes of the Nilgiri Hills and has a fascinating view of the Coimbatore Plains. You can also spot the Coonoor stream from close to 5000 feet below. This less explored place in the Ooty tourist places list is a must-visit for all the nature lovers. Imagine a huge stream of falls landing onto the Earth from an enormous height, and transferring little droplets of water on all the sides around the stream. This pretty much explains the beauty of the Catherine Falls. One of the most beautiful places to visit in Ooty, These impressive falls gush down from a height of 250 feet! You can take a road trip to the very top of the falls. Really gives you some perspective in life, to look at the gushing water from such a height, we imagine! Operating hours: 9 am to 6:30 pm every day. The valley gleans its name from the Indian bison that roams freely throughout the area. Bison valley is home to beautiful greenery, a wide variety of wildlife such as bears, deer, tigers, bison, and elephants. 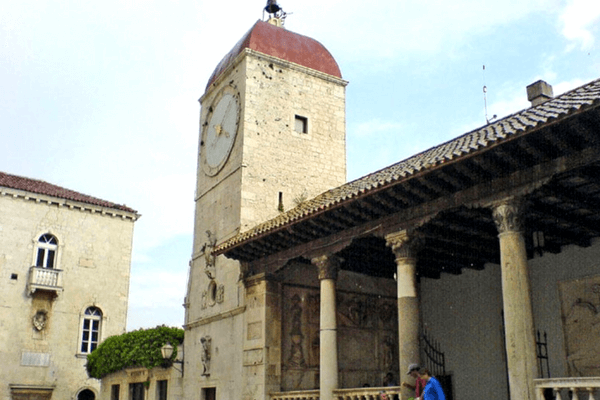 The valley also provides popular activities to enjoy such as mountain biking and trekking. The Bison Valley is one of the best places to visit in Ooty for all the adventure seekers and the nature lovers alike. 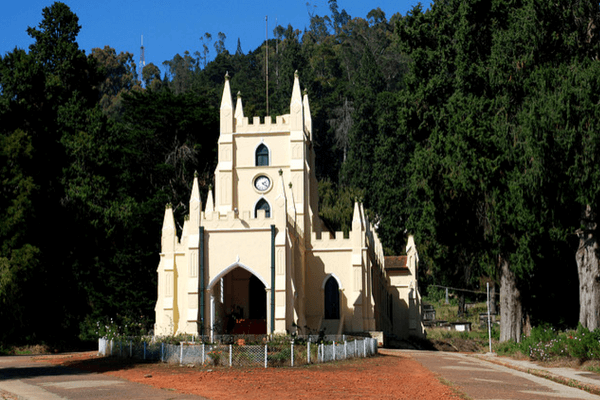 One of the most famous tourist places near Ooty, this Anglican cathedral was sounded in 1829, and is among the oldest churches in Nilgiris. It depicts various religious scenes through wooden works and glass paintings. This cathedral stands apart from all the other places to visit in Ooty, in respect of beauty and glory. The stained glass and wooden beams are a beauty to behold! Operating hours: 10 am to 1 pm and 3 pm to 5 pm every day. Most of the places listed above have no or minimal amount of entrance fee. Ooty is a beautiful place in the mystical lands of Tamil Nadu that can be afforded by almost everyone. Apart from these places, there are many places to visit in Ooty that will bring out the charm of the town. However, if you wish to visit the famous spots, then this list of places to visit in Ooty is the ideal one for you to go. 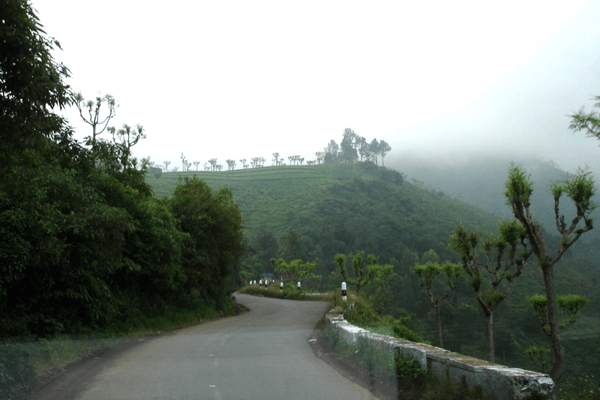 Ooty is one of those places in India which you have to experience to know the beauty of it. One cannot describe its beauty in mere words. 1. What are the top ten places to visit in Ooty? 2. What are the things you must carry when roaming around in Ooty? The temperatures in Ooty might be low, but there is going to be sun scorching all the time of the year. So make sure you are packed with loads of sunscreen and clothes depending on the season in which you are visiting. 3. What are the adventure activities you can do in Ooty? 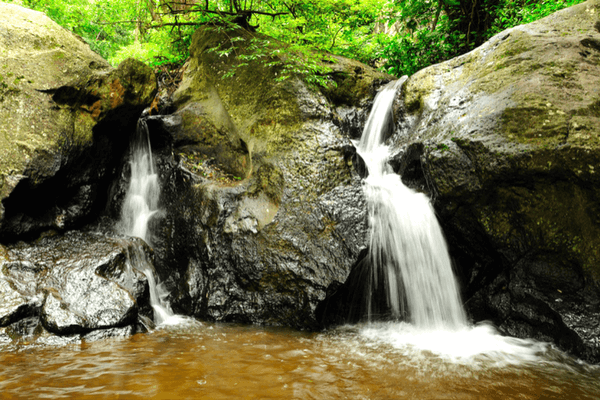 Among the list of places to visit in Ooty, there are a considerable number of waterfalls and hills. Hence, there is going to be trekking, mountain climbing, hiking, and many other adventure sports that you can involve yourself in Ooty. 4. 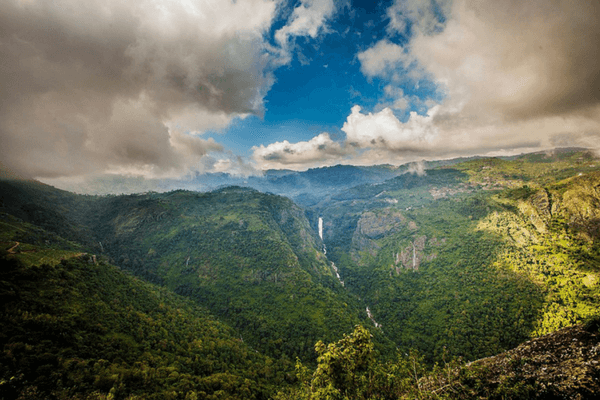 What to expect when you are visiting Ooty? Most of the places to visit in Ooty are related to nature and its panoramic views. So, when you are planning to visit Ooty, make sure you carry your camera to capture all the scintillating views from the top of the hills. The list is made, the pictures have been looked at; what are you waiting for? Book your Ooty tour package right now and head to the mysterious and lovely Ooty to experience Ooty tourism now! Places to visit in Ooty. Ooty also known as "the queen of hill stations". It has a lot of lovely locations to offer. 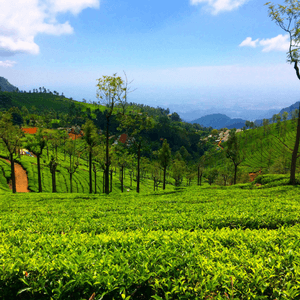 If you're planning a trip to Ooty, then we have a list of places to see in Ooty for you. what will be the cost of ooty visit for senior citizen couple and how many days one require to cover the 18 places of visit? cost must include both boarding, lodging, transport, travel expenses etc. from Lucknow to there and back?